I went in through the center field gate, as I had been at Mikkeller, and headed out to center field. Big Apple Brews, the Anheuser-Busch/Inbev owned kiosk out in center field and behind home plate on the Promenade, has been going downhill for years. Before we get to the good stuff, I actually went back and checked 2009, and perhaps saying it’s only gone downhill is overstating it a bit. Big Apple Brews was probably never good, just good as it compared to Shea Stadium. A giant island of coolers in the middle of the outfield is a pretty cool concept, and a nice addition to a stadium, but the actual beer inside appears to always have been a little lacking, even by 2009 standards, but hey, a dark beer! This is still just a broad listing of ABI, or ABI distributed, beers, complete with typos. Calling it Harbin Larger does seem prescient to 2019 where there are a lot of larger container beers. This picture was from April 16th, which was the third game of the opening series, not including the exhibition games against the Red Sox, so perhaps they got some editing later in the season. Larger beers. That seems to be the theme here. Some token ABI craft, the Blue Point Mosaic IPA is not bad, and then a lot of 25oz offering. Obviously, beer geeks like myself are not the prime audience for this. For the rest of the population, being able to drink Blue Point Toasted Lager, or Kona Longboard, or Goose Island Urban Wheat is actually pretty nice. Remember, just because you can order two 25oz Bud Light Lemon Teas at once, pound them, and come back, doesn’t mean you should. Hang on a moment, Bud Light Lemon Tea? Do I even want to ask what that is? Moving on..I walked down to the Empire State Craft stand, in it’s usual spot. That’s the center field side of the left field corner. There’s also one just to the third base side of the Promenade plaza (or ‘Piazza’?) behind home plate. These are the real options. These are the beers you’re going to gravitate to if you’re not just taking the best you can find within a bathroom break of your section. Baseball stadiums have really gotten on the New England Juicy IPA trend. I know Long Island City Beer Company’s Higher Burnin’ has been available in previous years, and it’s pretty good. This one’s fruity and nicely balanced. Interboro’s Premiere is an excellent beer, trending a little danker. Mikkeller’s Henry Hops is a happy baseball beer, and a real reliable IPA that you can get and drink all over the ballpark. The new one to me was Five Boroughs Tiny Juicy IPA. I hadn’t heard much about them, but I was pleasantly surprised by this beer. It’s juicy, it’s got good mouthfeel, but also good flavor and enough bitterness to really round it out. It’s pretty much the definition of crushable at 4.2%. A great beer to just drink all day at the ballpark, provided you don’t mind paying nearly $12 for a small beer over and over again anyway. There are some other tidbits around the park, there are actually a few taps if you search for them, but we’ll stop here. 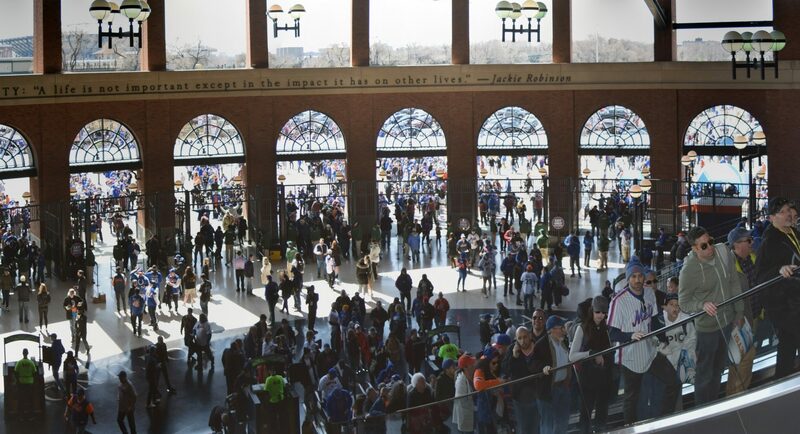 Get out to Citi Field and enjoy a beer or two. Overall there are some nice beers. There are some high-quality beers. There’s not a ton of variety though. Simple lagers, juicy IPAs, with maybe some slight variation here and there.